Even the best-fitting contact lenses can take some getting used, especially if you've never worn contacts before but if your eyes are constantly red, itchy, and irritated when you wear contacts, you may suffer from dry eye related to the lenses in question. The good news is that some contact lenses are designed to minimize this annoying, potentially damaging problem. Here at Richardson Eye Associates in Richardson, TX, we can provide you with contact lens options that won't cause dry eye. Many different conditions and situations can leave people with irritated, dry eyes. Some are predisposed to dry eye syndrome due to medical conditions or age, while in others, lifestyle practices and medications can be the culprit. But some people experience dry eye specifically because of the contact lenses they're using. 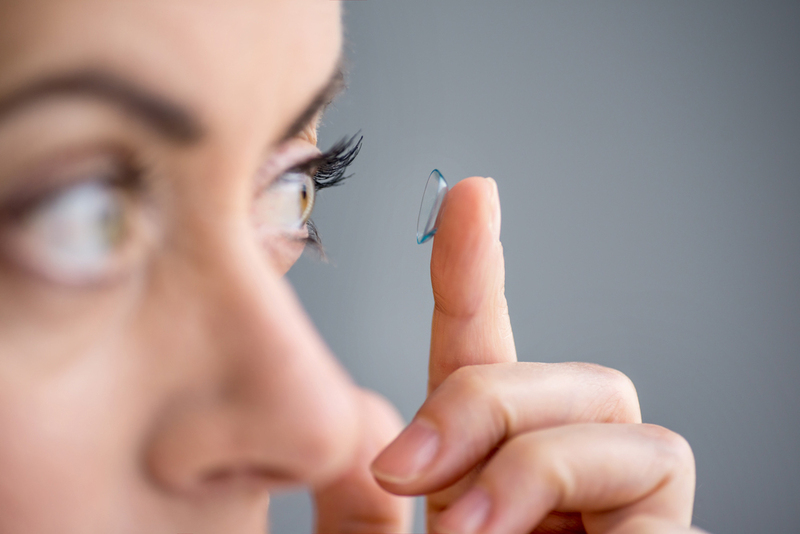 Long-term contact lens usage has been associated with dry eye in up to one-half of all contact lens wearers, so you're certainly not alone if you're experiencing this issue. Dry eye symptoms include not only redness, itching, and the feeling that something gritty is in your eye. You may also suffer from blurred vision. Don't talk yourself into "toughing it out" and waiting for your contact lens experience to get better on its own. If your condition continues or gets worse, you could be exposing your corneas to abrasions and ulceration. Soft contacts made of hydrogel - This lens material contains water, preventing the eye from drying out. Silicon hydrogel lenses offer extra effectiveness due to their enhanced ability to prevent evaporation. Scleral contacts - Scleral contact span the entire diameter of the cornea. The extra space between the surface of the scleral lens and the surface of the cornea serves as a natural reservoir for moisture. High water-content lenses - Some moisture-retaining contacts offer an especially high water level, ensuring maximum comfort for dry eye sufferers who aren't satisfied with other hydrogel options. We may find that switching you to a different kind of contact lens solution brings you great relief. Call Our Richardson Eye Associates in Richardson, TX Today! You can live with contact lenses without also living with dry eye. Call our Richardson Eye Associates at 972-231-3439 to schedule a consultation!